A business without an online presence in today’s time means you are losing a broad approach and customers. A business website of your firm helps you gain more customers and a powerful tool to brand your business. If you don’t have one, you can build it with WordPress. WordPress is a great platform to make websites. You can create a complete professional website in an hour or two with WordPress themes. There are thousands of free responsive WordPress themes available on the internet with which you can design your website. If you are in dilemma what type of theme to choose for your website, then you can drop off your worries. Today, we have come up with 25+ free fully responsive business WordPress themes which helps you design and publish your business website. Ace Corporate is a free business WordPress theme with which you can create a top-notch website for your business. It can be a suitable choice to build enterprises and corporate websites. This theme is retina and mobile friendly which easily adapts different screen size and resolutions. Also, this theme is compatible with all major browsers. It comes with a powerful and robust set of tools to help you develop the desired website. Furthermore, it comes with different sections such as a testimonial, page and blog layout, including banner slider which helps you create a unique design for your website. 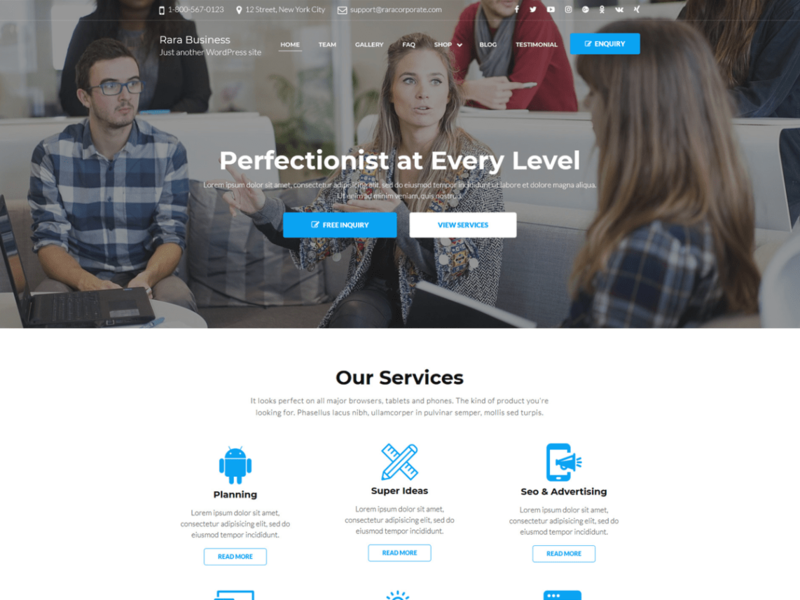 Rara Business is among the best free business WordPress theme helpful to create a business or corporate website. You can develop a professional business website with this theme in less time. Even though, you do not have any prior knowledge or experience of coding. This theme helps your site stand out of your competitor’s website. This theme can be very helpful to multiply customers and promote your business online. It is a fully responsive theme which comes with various customization options. Though it is a focused business theme, you can create different other creative websites too with this theme. Furthermore, it is SEO friendly, and speed optimized theme which helps your site rank high in search engine results. Robolist lite is a feature-rich free WordPress theme helpful to create listing and directory websites. This theme can be a perfect solution for HR agencies, business agencies, corporate houses, hotels as well as real estate websites. The theme is developed with an objective to provide maximum information to the visitor. It comes preloaded with multiple extensions which give you tons of customization options. Also, this theme is integrated with WP Job Manager plugin which lets you add a list of professions to the website. Plus, this theme features a clean and pixel perfect design which easily grabs the attention of the visitors and keeps them engaged on your site. City Store is a clean, simple and free eCommerce WordPress theme. This theme helps create a simple yet attractive eCommerce store for any store type. It is a fully responsive multipurpose theme which has less loading time. 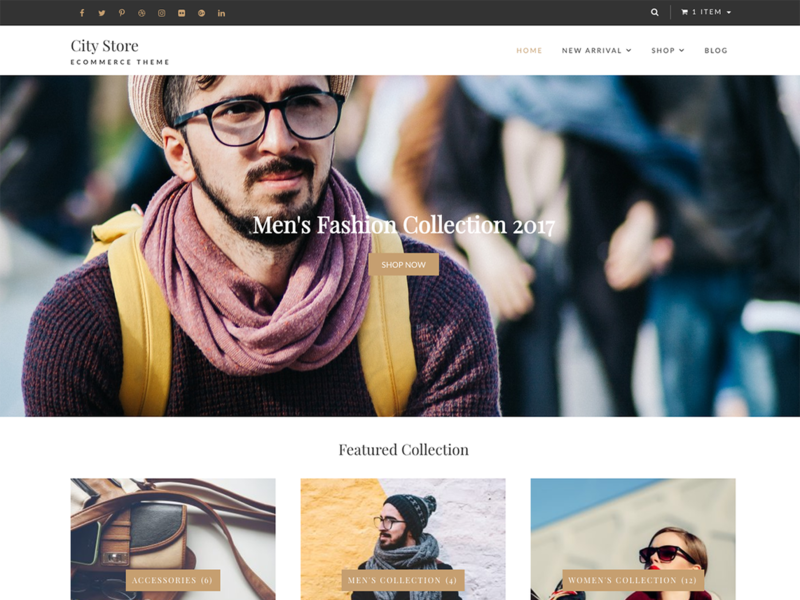 Also, this theme is fully compatible with the WooCommerce plugin, the most popular eCommerce plugin. Furthermore, this theme comes with a number of customization option to help you obtain the desired layout for your online store. Also, this SEO friendly theme allows your store list rank at the top in the Google or other search engine results. 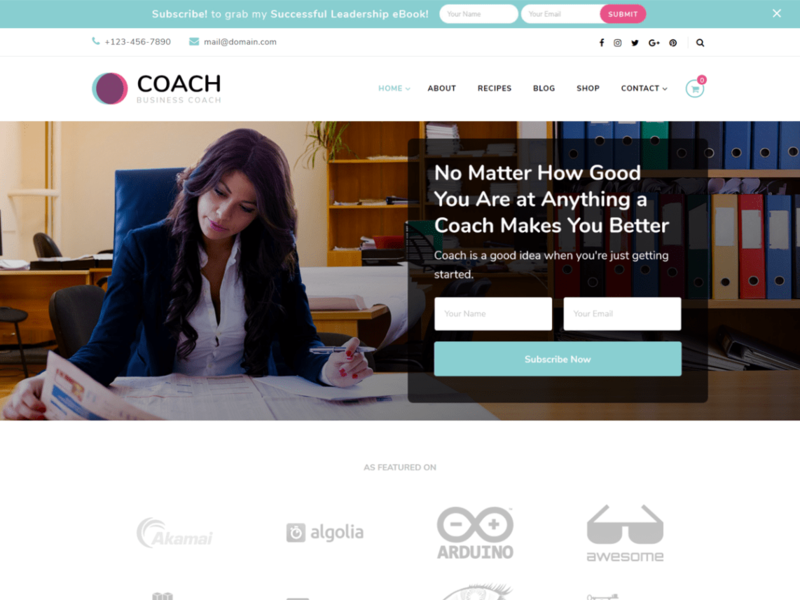 Blossom Coach is a free feminine WordPress theme for coaches, mentors, speakers, and therapists. You can quickly create a professional website for your business even without prior knowledge or coding experience. This theme is designed to showcase your services and help you collect more customers via your website. Also, it is a multi-purpose theme useful to create websites for small, medium as well as large businesses. It is a highly customizable theme which comes with various customization options to make your site unique and attractive. In addition, it is fully compatible with the WooCommerce plugin which is among the most used eCommerce plugin. 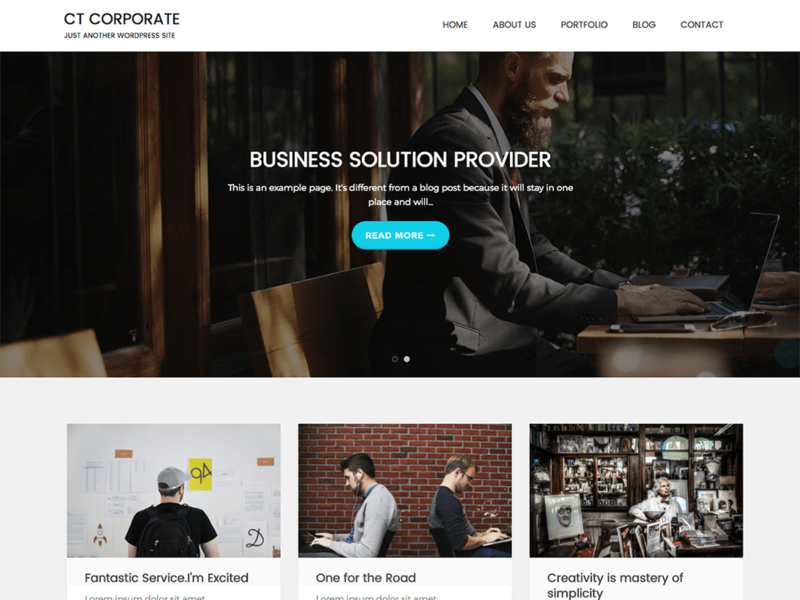 CT Corporate is an incredible free business WordPress theme. It is a clean and user-friendly theme helpful to create a business, portfolio, blogging or any corporate websites. It is a flexible and fully responsive theme which easily adapts on any screen size or viewing environment. Also, it is a cross-browser theme compatible with all major browsers. Furthermore, it comes with six homepage layout, 3-page templates, and four widgets to help you customize the website as per your wish. Also, it includes features from custom menu, social media options, customizable call to option block. Plus, banner slider and testimonial sections too. t is a highly optimized theme which provides better performance to your website. 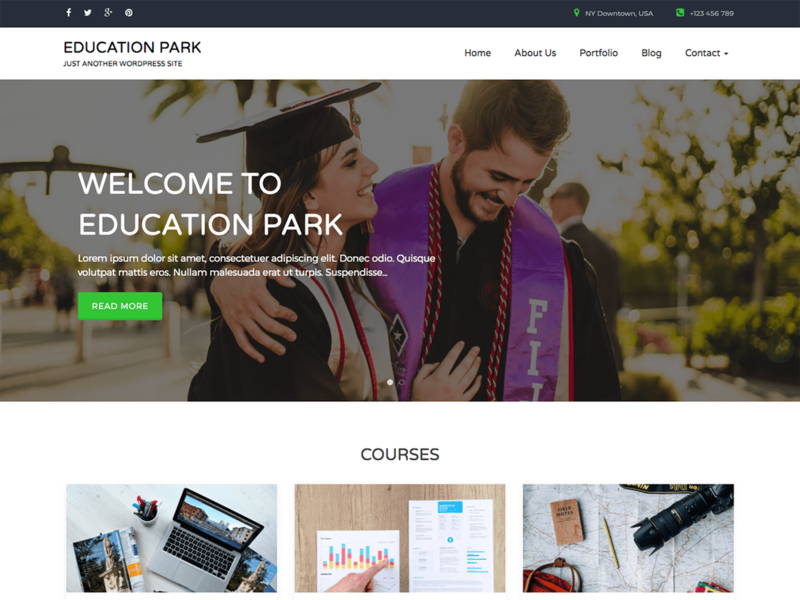 Education Park is a superfine free Education WordPress theme. It is a clean and user-friendly theme helpful to create educational institutions websites for school, colleges, universities and other LMS. This is a flexible and fully-responsive theme compatible with all major browsers. Also, it comes with two homepage layouts, three-page templates, and four custom widgets to obtain two-column widget layout. Further, this theme comes with various features such as a customizable call to action button, social media options, banner slider, blog layout, custom CSS as well as translation ready option. It is a single theme which provides multiple layout options. 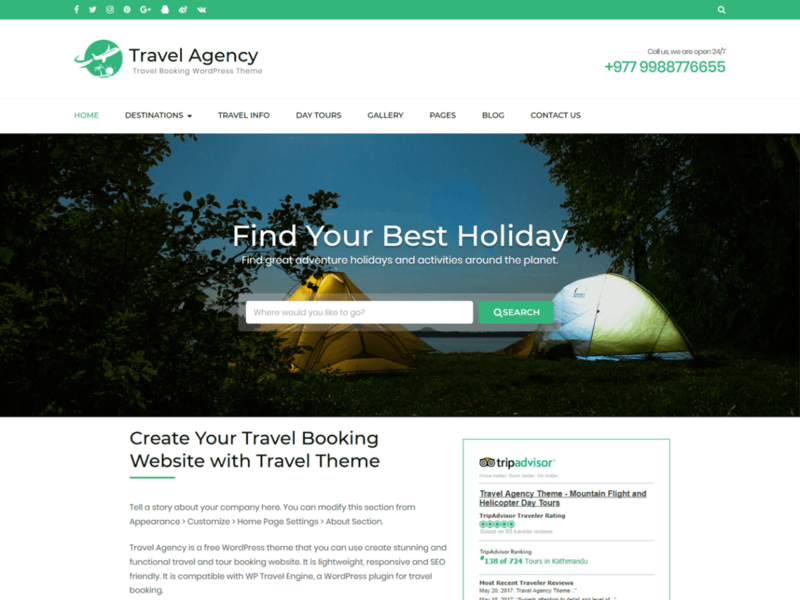 Travel Agency is a free WordPress theme with which you can create a tour and travel website. You can create a professional travel booking website with this theme for a tour and travel agency. This theme gives the option to add trips, destinations, trip types and even allows visitors to book their trips. It is a fully responsive, mobile friendly theme. This theme is quite compatible with WP Travel Engine plugin, a popular travel booking plugin. This plugin allows you to create multiple destinations for trips as well as various activities on the trip. Furthermore, this theme comes with numerous customization options to help your website stand out from your competitor’s. Also, it is a highly optimized theme which provides better performance to your site. 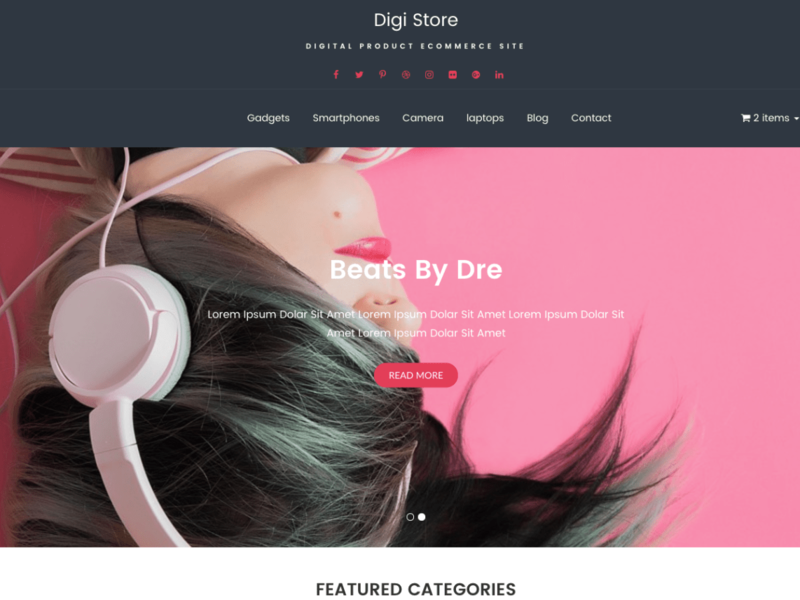 Digi Store lite is a free eCommerce WordPress theme suitable to create an online store for your gadget or digital store. This theme provides an excellent layout for online promotion and advertisement of your products. This theme is based on Bootstrap CSS framework which offers incredible visual experience. Likewise, this theme is fully compatible with the popular WooCommerce plugin which eases online sales of your products. This plugin helps you to handle the orders and customers smoothly. In addition, it is a fully responsive theme which fits any screen size seamlessly. It is designed to provide an excellent user experience to the visitor of your website. 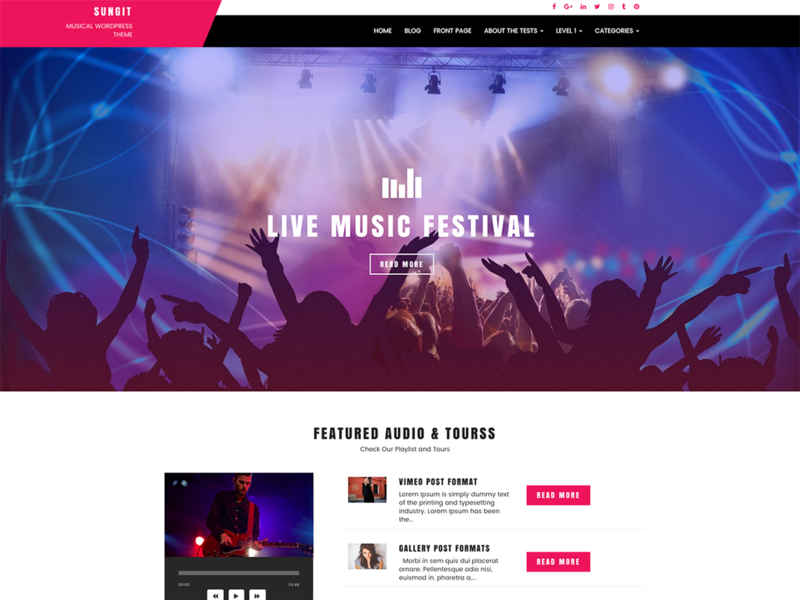 Sungit Lite is a popular fully responsive free WordPress theme designed and created for bands, musicians, artists or any music websites or blogs. It is a highly customizable theme which allows you to customize your site without writing a single line of code. This theme comes with several user-friendly features such as social media integration, custom header and footer menu, customizable middle and banner section and different space for widgets. Also, this highly optimized theme allows you easy loading while gives a better user experience to the visitors. 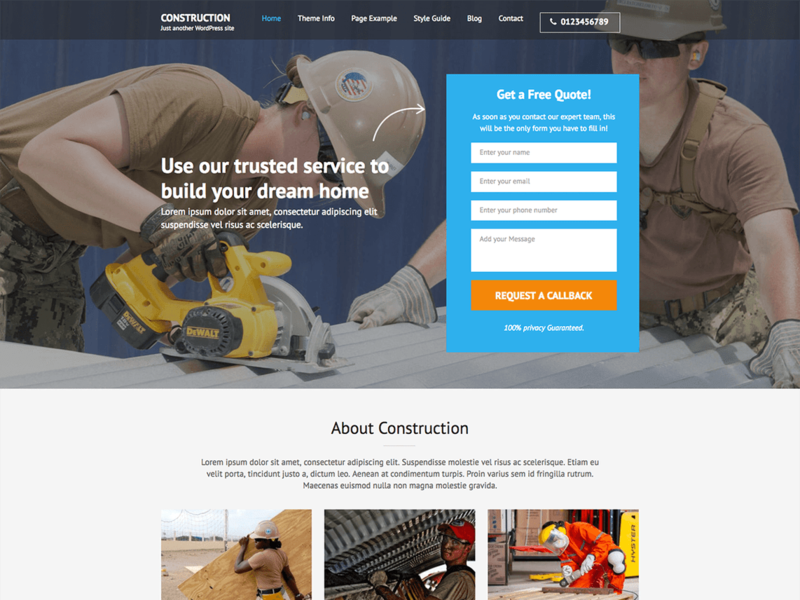 Construction Landing Page is a free WordPress theme helpful to build construction company website. This theme comes with an attractive layout to help you engage visitors on your site. Also, it comes with a beautiful contact form to help your audience ask their queries via email. It is a clean, fully responsive, speed optimized and SEO friendly theme which helps your website climb the search engine ranking. Though it focuses on a construction company website, it can be used to make other creative sites too. Plus, it is compatible with WooCommerce plugin which helps you sell your services via your website. 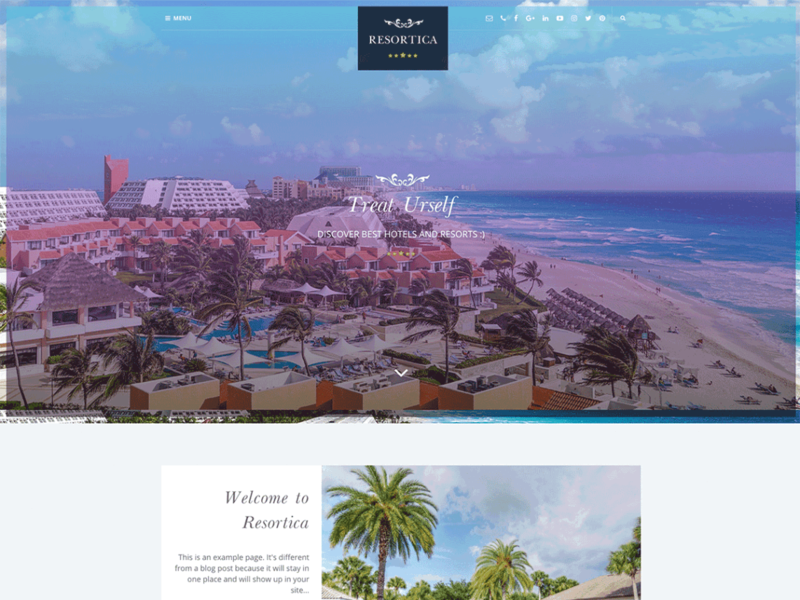 Resortica Lite is a lightweight free WordPress theme for hotels, resorts or other similar businesses. You can create a professional website for hotels or other related business with this theme. It is a fully responsive theme built with the Bootstrap framework. This highly customizable theme offers various customization option. It comes with customizer API helpful to customize your website as per your wish. Plus, it features proper documentation which guides you step by step to set up your site. Spa and Salon is an easy to use free WordPress theme for spa, salon and other several businesses. 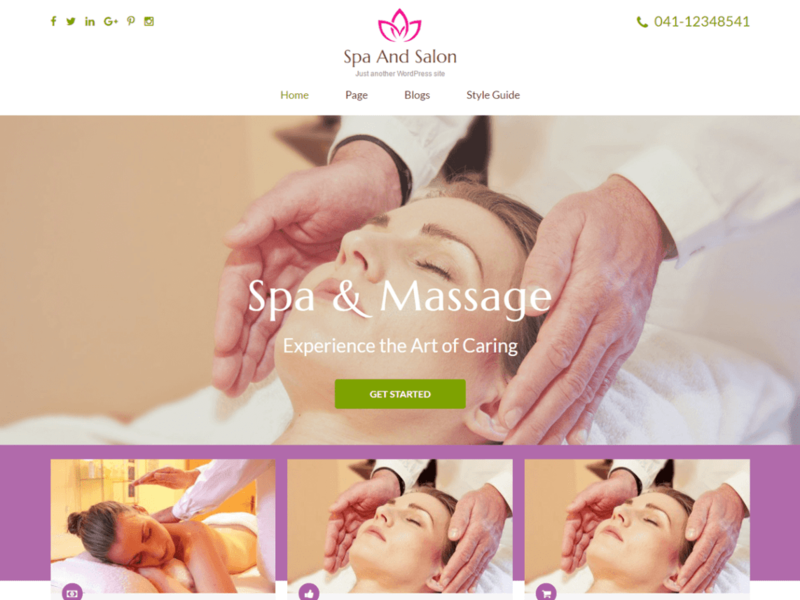 You can create a beautiful website with this theme for spa-related businesses. It is a fully responsive theme which provides gorgeous layout on any screen size. This theme includes various features to increase visitors engagement on the website. Some of the added features includes attractive banner, call to action menu, breadcrumbs, service section, testimonial section and social media integration. Furthermore, it comes with a well documentation which helps you through every step to set up your website. 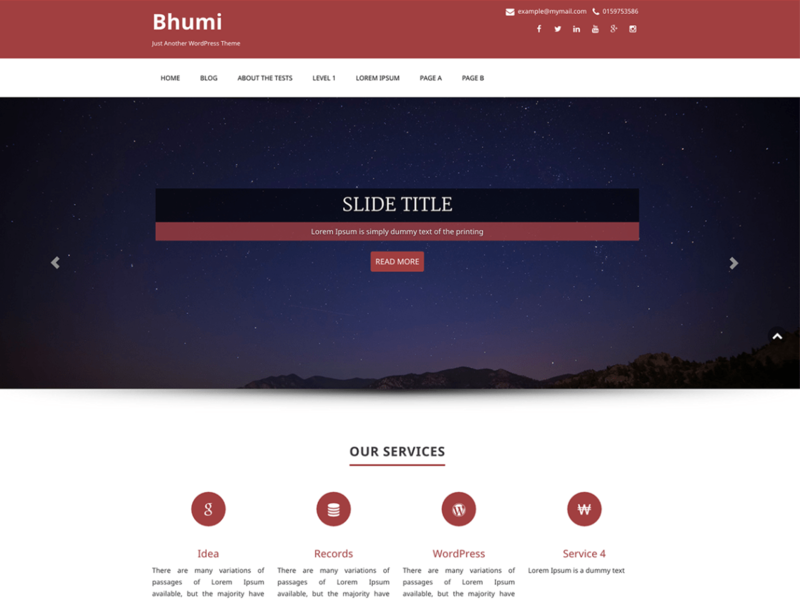 Bhumi Lite is an incredible multipurpose free WordPress theme. You can create a superfine website for business, portfolio, blogging or any other creative website with this theme. As this theme is developed with the Bootstrap CSS framework, it is fully responsive and mobile-friendly. It comes with 4-page layouts and 3-page templates and is retina friendly. Also, this theme provides five widget and multiple custom menu options along with some features like social media links, business templates, awesome carousel as well as powerful CMS control option. 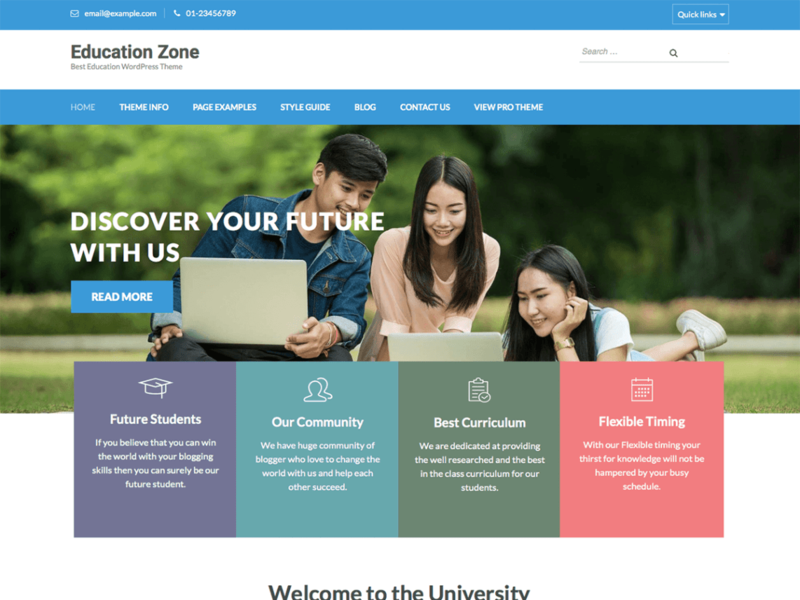 Education Zone is a clean and professional free WordPress theme for educational institutions like schools, colleges, universities and other LMS centers. With this theme, you can create a professional educational website. It is a resourceful and feature-rich theme which is helpful to create a different type of corporate and business sites. It is a highly customizable theme which comes with different features and customization options. Some of the highlights of this theme are an attractive banner, statcounter, courses section, testimonial section and social media integration. This theme helps you create a professional and appealing website to keep your visitors engaged. Furthermore, it is speed optimized and SEO friendly theme which helps your website rank high in Google and other search engine results. 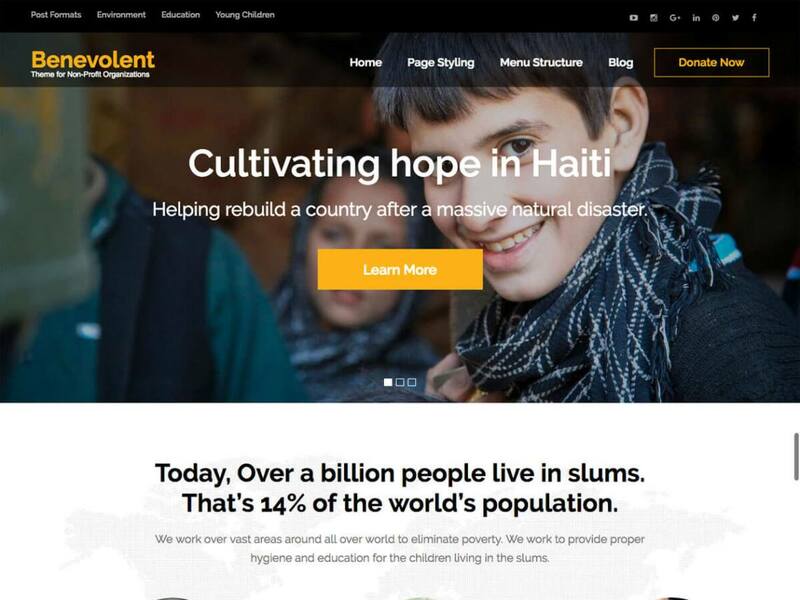 Benevolent is a flexible and modern free WordPress theme designed to create sites for nonprofit organizations. It can also be used to develop other creative websites for businesses, digital agency, freelancers, bloggers or corporate houses. It is designed with speed optimized codes and is SEO friendly which helps to rank your website in search engines. This theme comes with several features to provide an interactive and user-friendly website for your organization. Also, this theme includes four-footer area, right sidebar, multiple custom widgets for recent, trending and featured posts. Plus, it is developed with clean codes to reduce the load time of your website. In addition, this theme comes with an excellent documentation guide to help you set up your site step by step. Lawyer Landing Page is a free WordPress theme for lawyers and law firm. 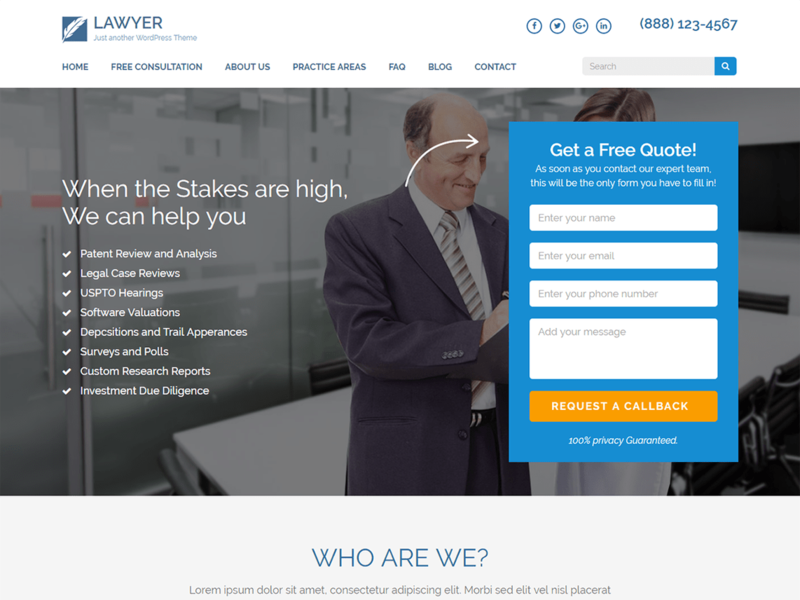 You can create an attractive and professional website for lawyers, law firm and attorneys with this theme. The theme comes with elegant design and is versatile with which you can create different types of corporate as well as business websites. This theme provides several features to make the site interactive and user-friendly. Also, this theme includes features like a banner with the contact form, custom menu, a banner with a call to action button and social media integration. It also has various sections on the homepage such as about section, testimonial section, team section and the FAQ section to help your visitor get maximum information. Plus, it is a translation ready theme which allows you to have a website in your local language. 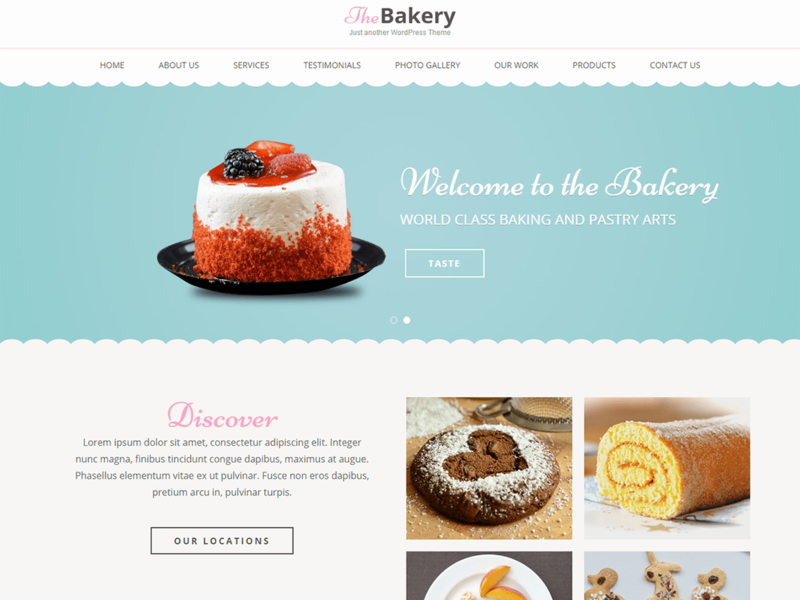 Bakes and Cakes is beautiful and attractive free WordPress theme for bakery and cafe businesses. 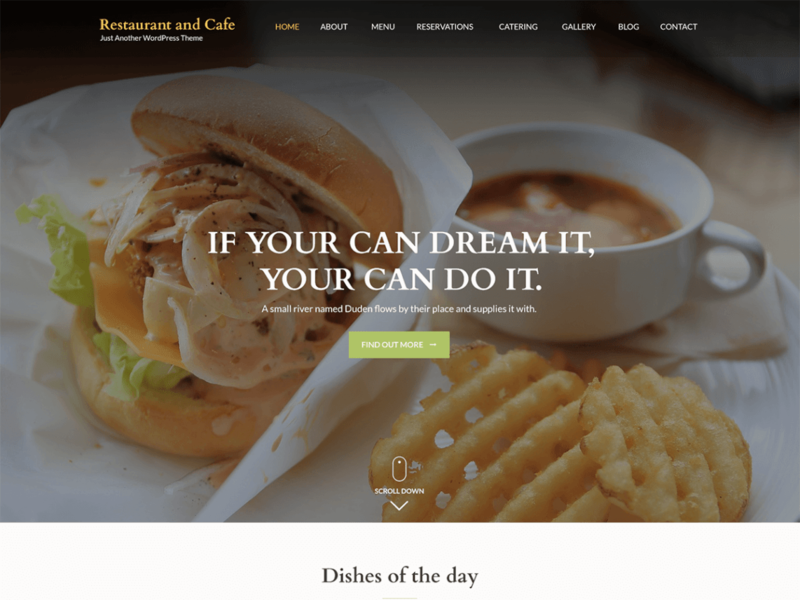 You can create a professional website for bakery, cafe, and restaurants with this theme. It is a fully responsive theme which provides a user-friendly and interactive layout to your site. This theme is developed with optimized codes and is SEO friendly which is helpful to rank your website in Google and other search engines. Also, it is rigorously tested and optimized to obtain faster page load time. Furthermore, it is compatible with WooCommerce plugin which allows you to sell your products online with the website. As it comes with a video documentation guide, it helps you set up your site quickly even without any prior experience or knowledge in coding. 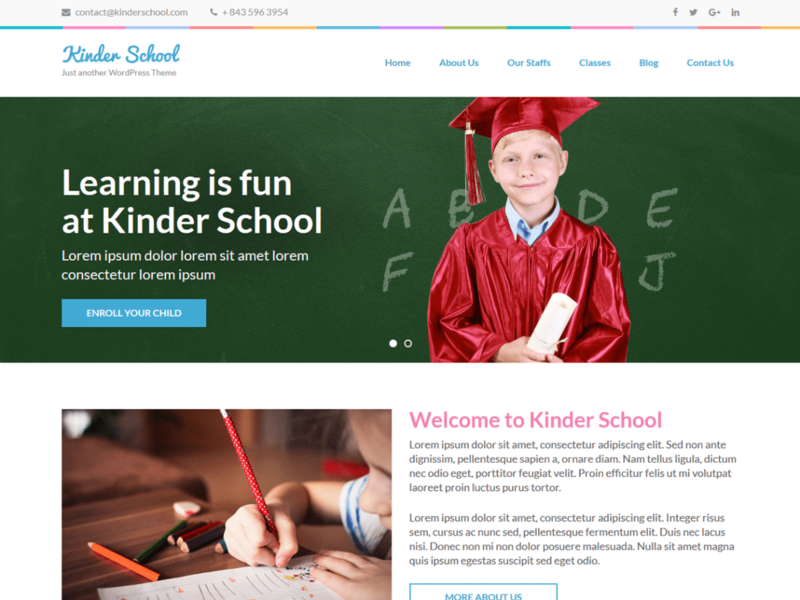 Preschool and Kindergarten is an attractive educational free WordPress theme. With this theme, you can create a professional educational website for kindergarten, schools, elementary and primary schools and other LMS centers. It is a fully responsive as well as translation ready theme. Although this theme focuses on the educational website, it is quite versatile and helps you build different types of other creative sites. Plus, it is a highly customizable theme which comes with multiple personalization options. It is also incorporated with various other features to make your website interactive, user-friendly and appealing to engage your users.. It is developed with optimized codes to obtain a reduced load time of the site. 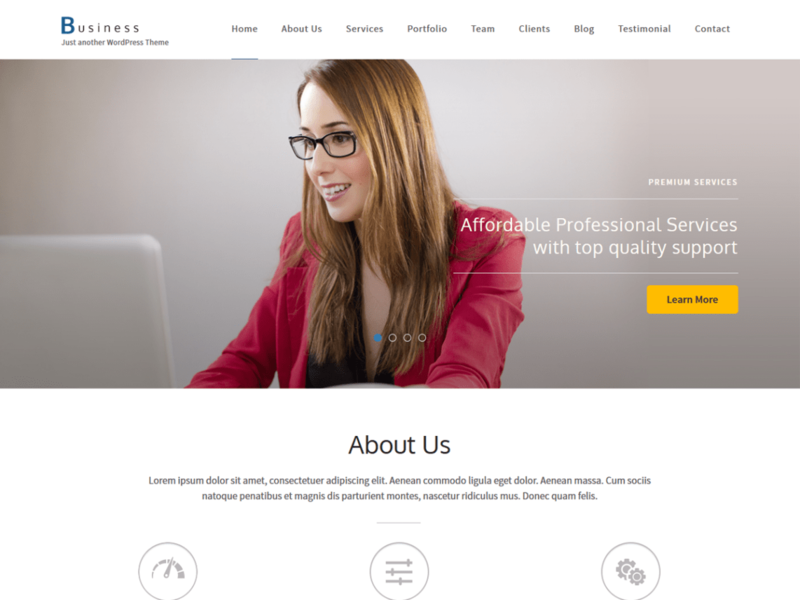 Business One Page is a one-page free business WordPress theme. This theme is suitable for businesses and corporate houses to create a one-page website. It comes with one-click demo import to help you understand the final layout of the site without waiting for hours. It is a fully responsive theme which adjusts smoothly on any device and screen sizes. Also, it is an SEO friendly theme to help your website climb search engines ranking. It is a multipurpose theme with which you can create different other sites too. And, includes three custom widgets for recent posts, trending posts, and social media accounts. This theme is best suited for a web agency, portfolio, photography, construction, music, fitness and various other websites. Restaurant and Cafe is a free WordPress theme for restaurants, cafe or other food and drink-related businesses. This theme can be a suitable choice for a cafe shop, bakery or a luxurious restaurant to make an online presence. It provides a great user experience to the visitors of the website. 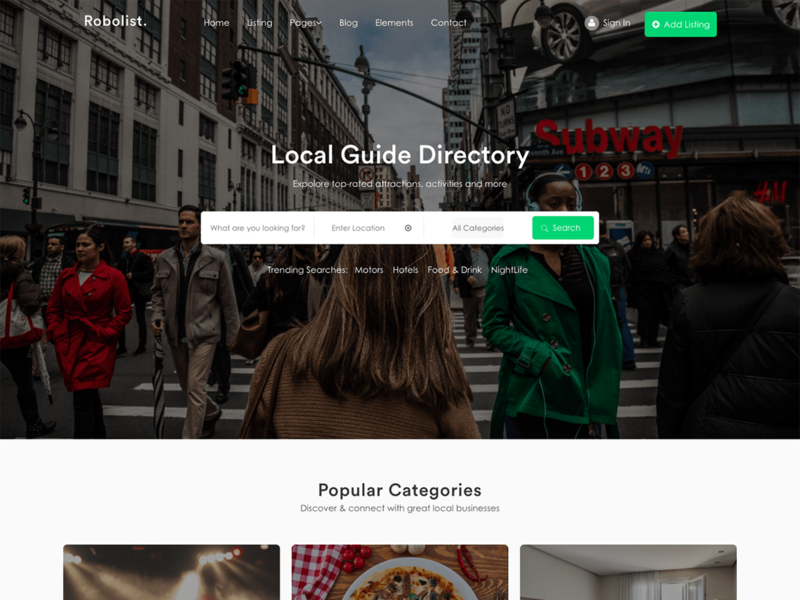 The homepage of this theme comes with different sections such as banner section, about section, feature section, services section, testimonial section, restaurant menu section, reservation section as well as a blog section. Also, it is compatible with WooCommerce plugin which helps you take orders online. It also comes with a step by step documentation to guide you set up the website yourself. 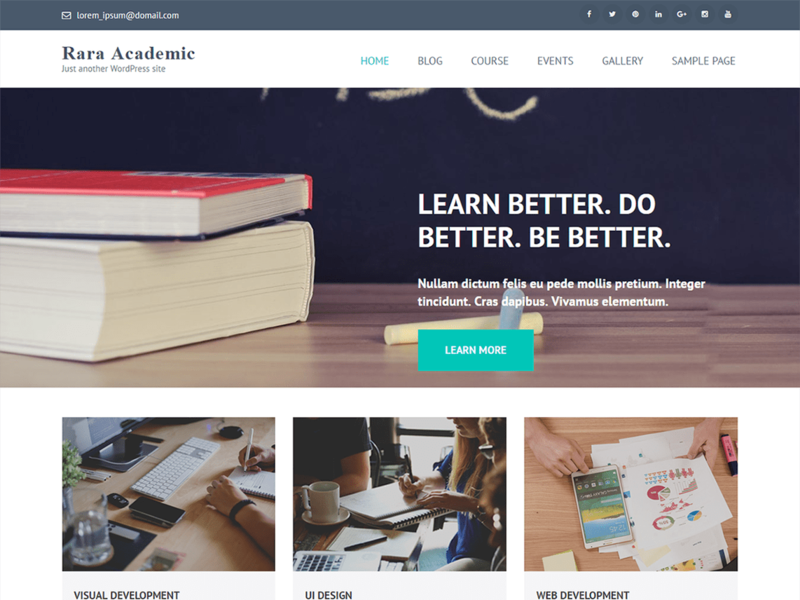 Rara Academic is a beautifully designed free WordPress theme suitable for educational institutions such as school, colleges, and universities. Also, it can be an excellent choice to create non-educational websites as this theme is quite flexible and versatile. It is a highly customizable theme which comes with layout settings and powerful theme options panel. It is a SEO friendly theme with optimized codes which helps your website rank high in Google and other search engine results. Also, it is developed with a focus to keep the visitors engaged on the site with an appealing and attractive layout. Plus, it is a translation ready theme which allows you to create a website in your local language. 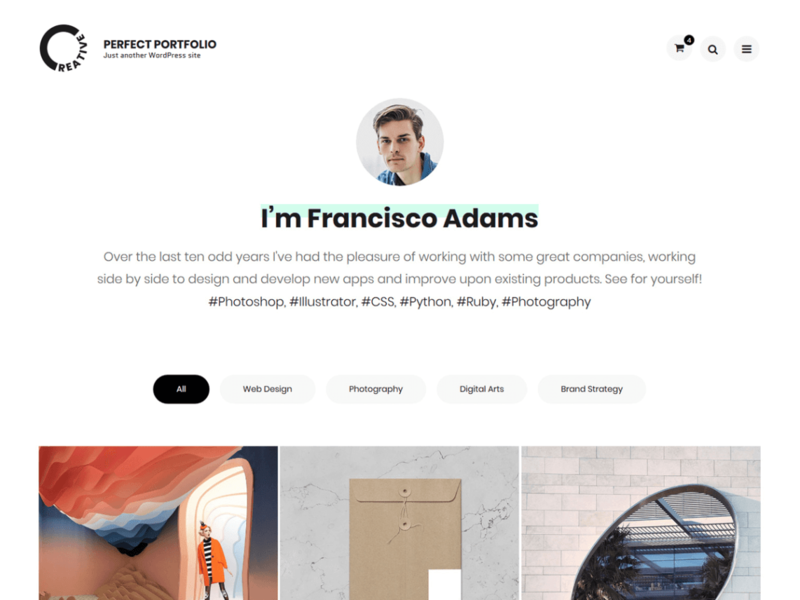 Perfect Portfolio is a free WordPress theme for portfolio and blogs. This theme is quite helpful to create portfolio of a person, company as well as small or medium businesses. It can also be an excellent choice for a personal blog. It is a fully responsive theme which comes with multiple customization options. This theme comes with customizer API, widgets and other options to help you achieve the desired layout of your website. Also, this theme is compatible with all the leading browsers. And is packed with lots of useful features to help your site stand out of your competitor’s website. Furthermore, its speed and SEO optimized features help you to improve your website’s rank in Google and other search engine results. Pranayama Yoga is a clean and simple free WordPress theme for yoga studios, fitness centers, and other sports related websites. It is a versatile and flexible theme which can be used to create various types of business websites. This theme is developed with optimized codes to obtain a reduced load time of the site. It is an SEO friendly theme which helps your website rank high in search engine results. This theme comes with various sections such as about, services, testimonial, courses, trainer section to provide maximum information to the visitors. Plus, it comes with built-in customizer API which allows you to customize the website with live preview easily. Also it is a translation ready theme to help you have a site in your local language. These are the 20+ free business WordPress themes which you can use to create any type of business websites. These all are fully responsive and mobile friendly free themes. There is no catch in it, you can use them on any number of sites without paying a single buck.